Video-assisted thoracoscopic surgery (VATS) lobectomy has been accepted as a minimally invasive surgical approach for selected patients with non-small-cell lung cancer (NSCLC) over the past 20 years. Professor Tristan Yan has recently organised a panel of 55 international experts from Europe, North America, Asia and Australasia on VATS lobectomy to standardize the perioperative management through expert consensus and to provide insightful guidance to clinical practice. 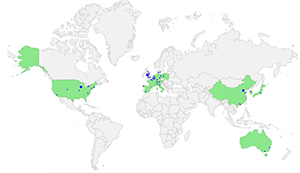 Fifty VATS lobectomy experts (91%) from 16 countries completed the consensus survey. 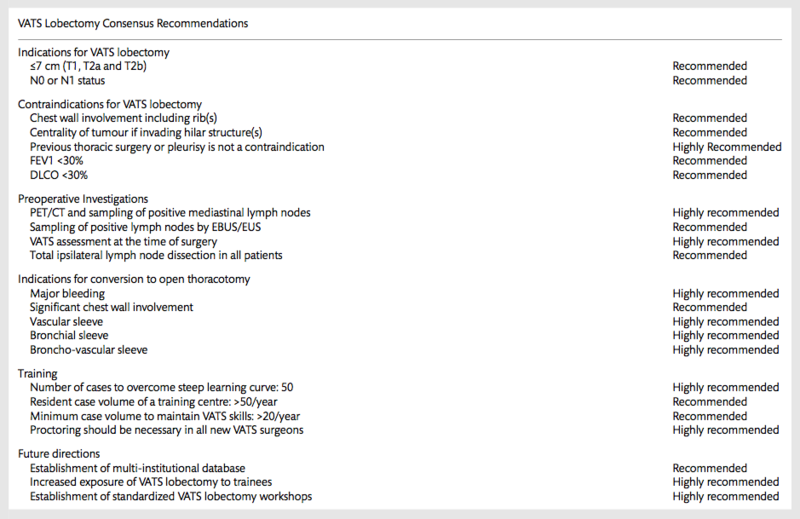 Consensus was reached on 21 controversial points, outlining the current accepted definition of VATS lobectomy, its indications and contraindications, perioperative clinical management and recommendations for training and future research directions. The key recommendations derived from the Consensus Statement are presented in the following table. The Consensus Group agreed on CALGB definition of and that at least 50 cases should be performed by a surgeon to gain adequate technical proficiency before establishing a VATS lobectomy program. This Statement represents a collective agreement among all international experts to establish a standardized practice of VATS lobectomy for the thoracic surgical community after 20 years of clinical experience.